The famous anthropologist speaks about how the Red Chris Mine project is part of a potential transformation of a B.C. 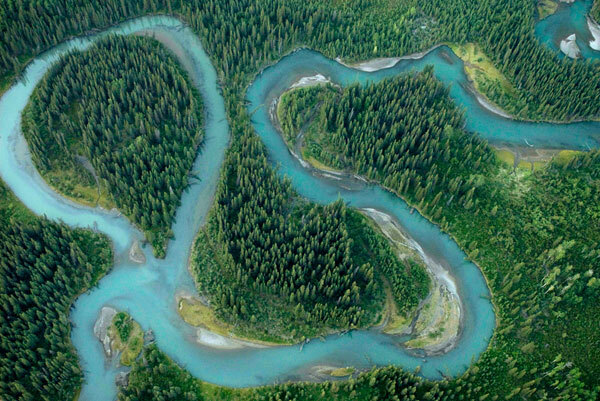 natural treasure, the Upper Stikine River watershed. The amount of fish caught in the Arctic has been dramatically under-reported for decades, making the northern ocean environment appear far more pristine than it really is, according to a new study. Purdue University’s decision to cancel plans for a new coal-fired plant at its Indiana campus brings the total number of abandoned plants to 150 since 2001, the environmental group Sierra Club said on Friday. The universal drive for higher incomes in the face of mounting environmental destruction has heightened the expressed tension between fast growth and environmental protection. The reality, however, is that it will not be possible to sustain high growth in the coming years without environmental care. Whooping cranes are the most endangered of all of the world’s crane species. Louisiana’s reintroduction is part of a larger ongoing recovery effort led by the U.S. Fish and Wildlife Service and its partners for this highly imperiled species, which was on the verge of extinction in the 1940s and even today has only about 400 individuals in the wild. Two Canadian companies were recently fined tens of thousands of dollars after pleading guilty in court to attempting to transport containers of old electronics and used batteries to Asia without permits. Some recycling industry experts say there are likely many cases of illegal e-waste dumping overseas that go undetected. A hidden gem of BC Parks is Juan de Fuca Park, a ribbon of wild coastal lands averaging 225 metres in width, along Vancouver Island’s south coast. Today, seven parcels of these lands totaling almost 600 acres, alongside one third of the Juan de Fuca Marine Trail (the most scenic third), are the subject of a development proposal which would see some 280 residences and a lodge immediately adjacent to the trail. The development would even require some parts of the Marine Trail to be rerouted.